As any style-conscious individual will be quick to tell you, the path to true sophistication involves the flawless blending of past with present, the meeting of classic elegance with avant-garde design. 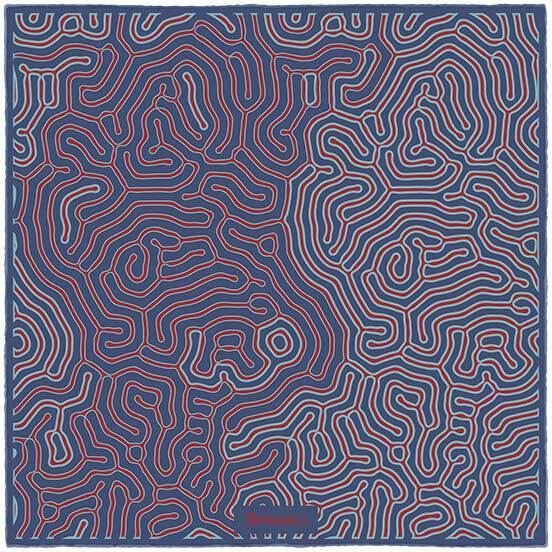 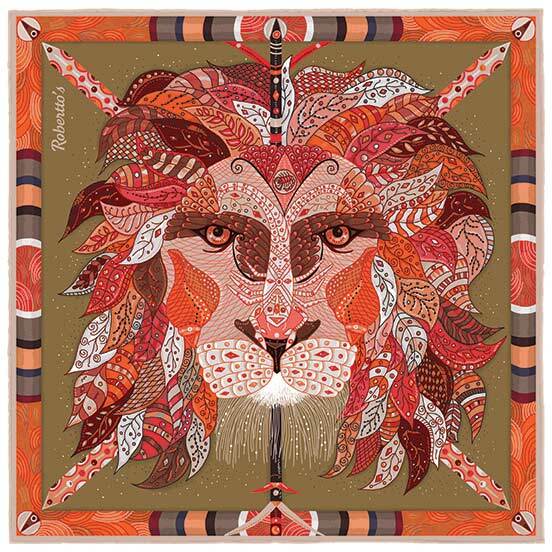 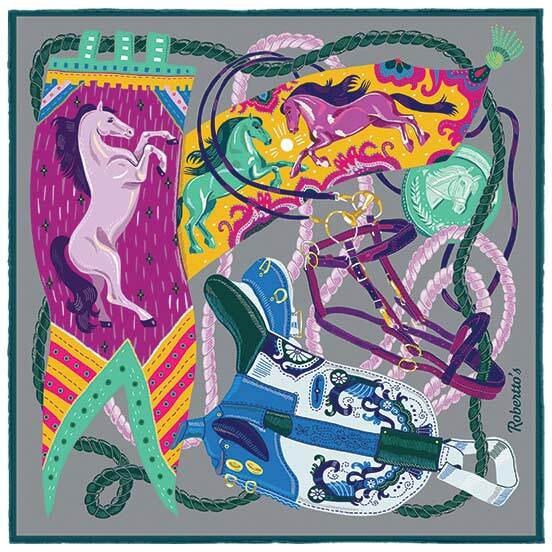 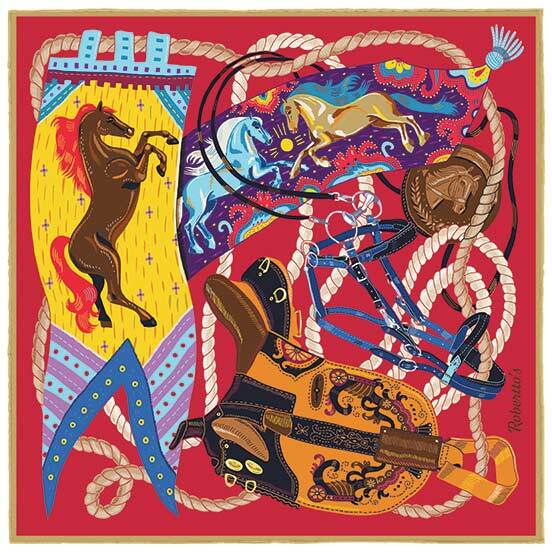 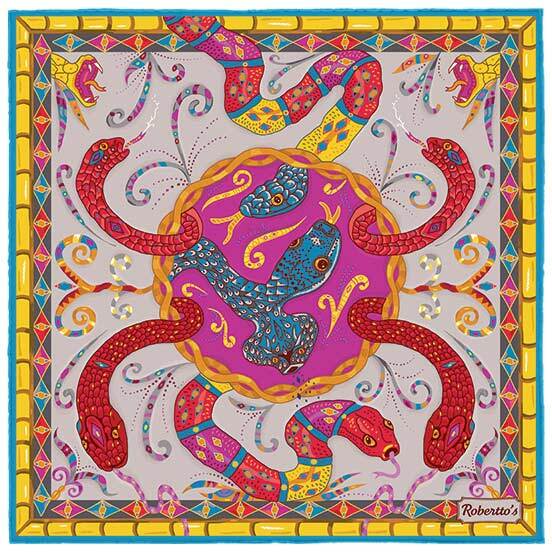 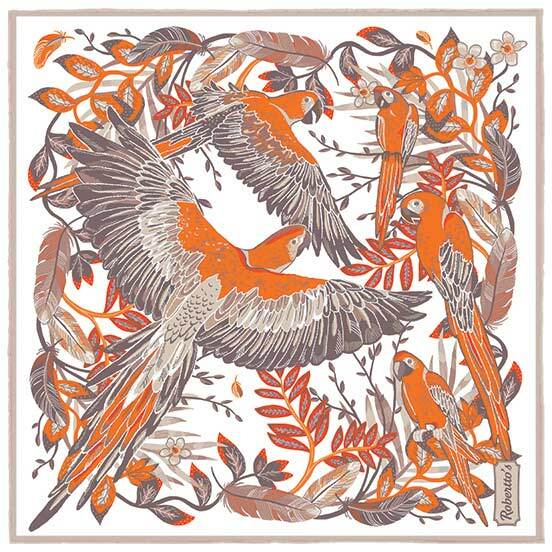 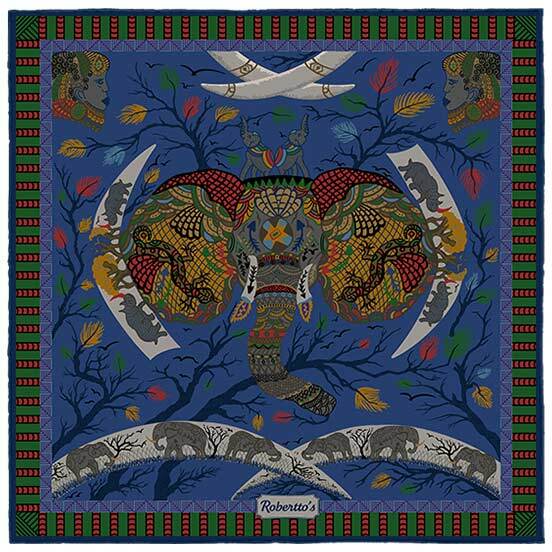 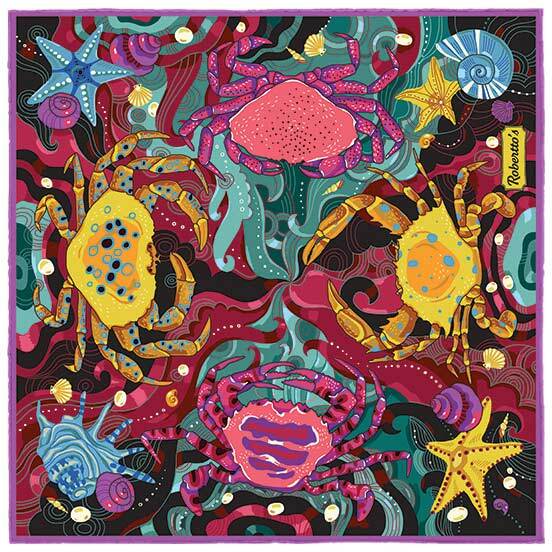 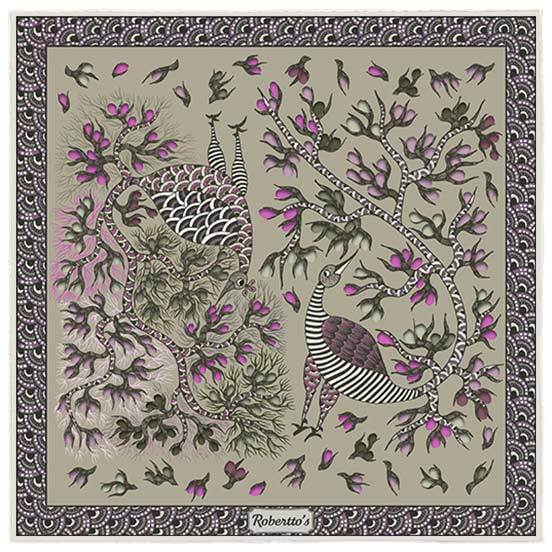 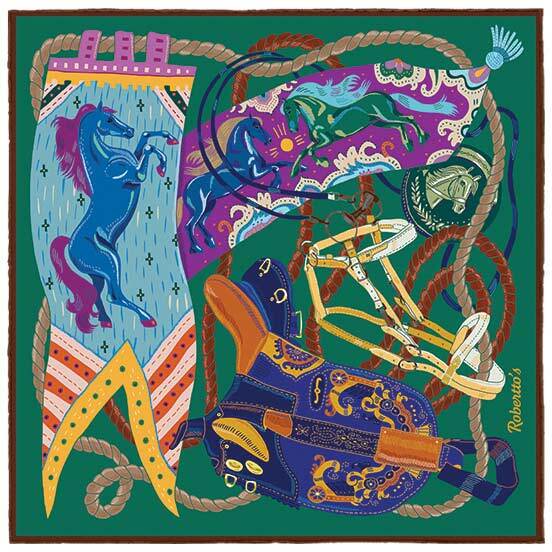 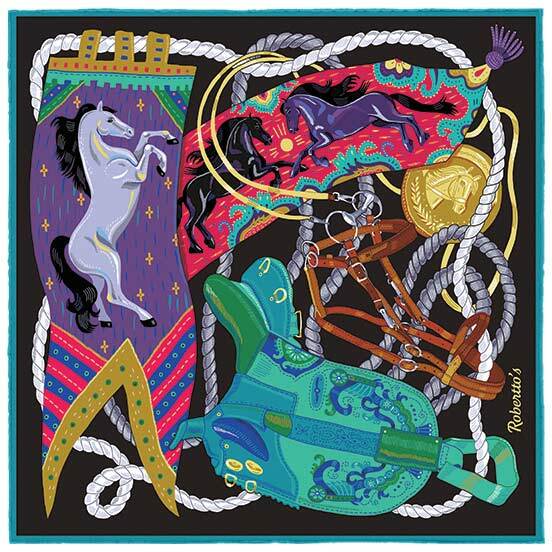 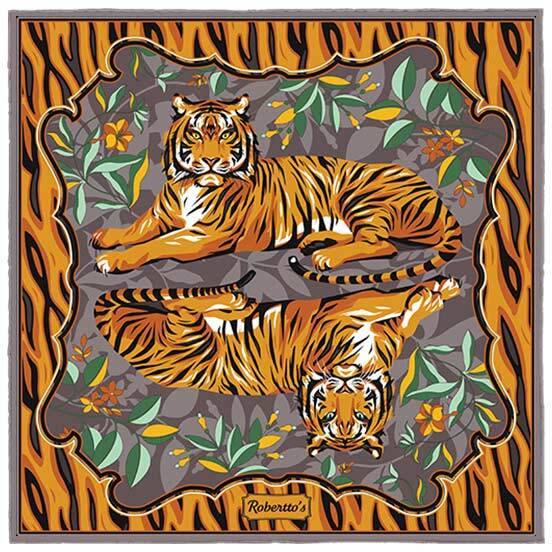 This striking pocket square achieves this juxtaposition in an impressive fashion; heraldic symbols of times long gone are brought right up to date with a vibrant, vivacious color palette, and a slick, complex composition. 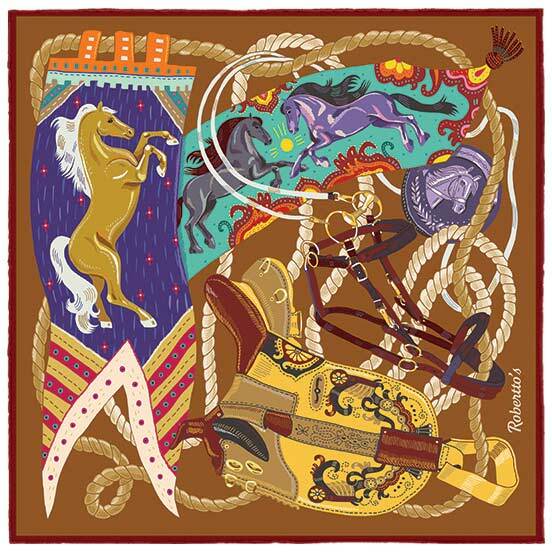 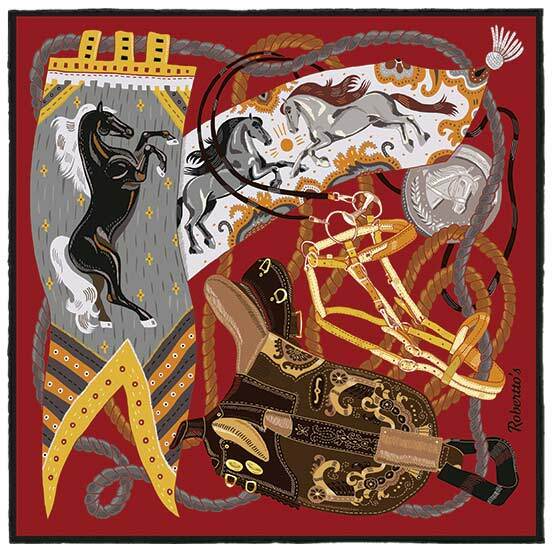 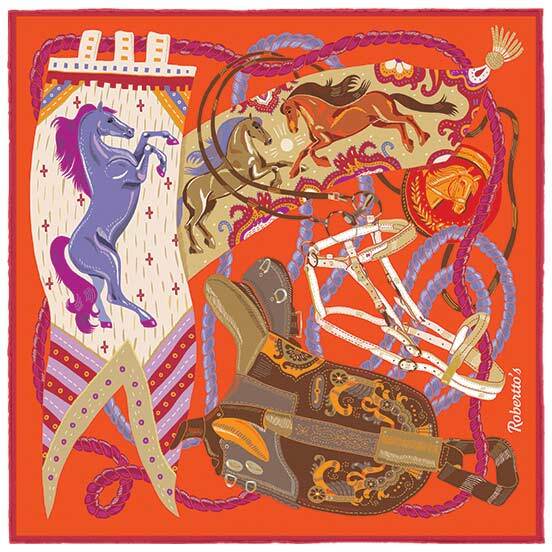 Beautifully colored jousting flags flutter against a writhing mass of ropes and harnesses, a powerful stallion raises its hooves to catch the eye. 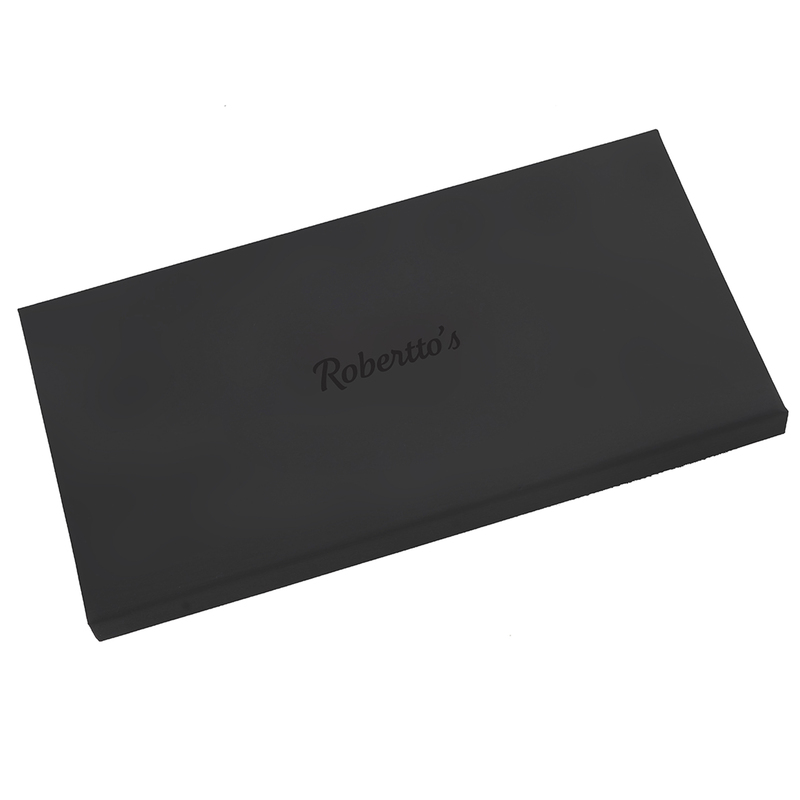 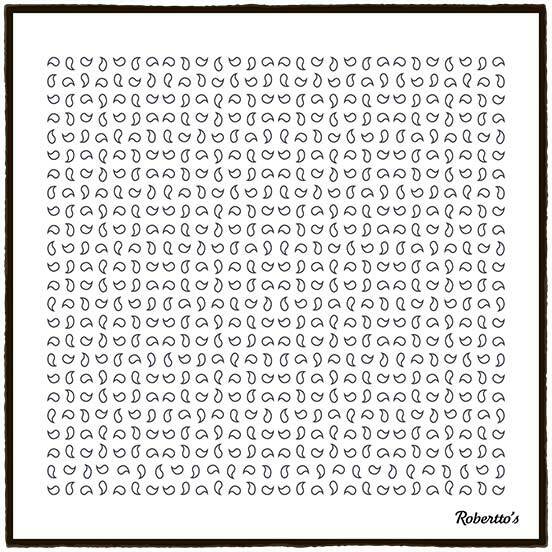 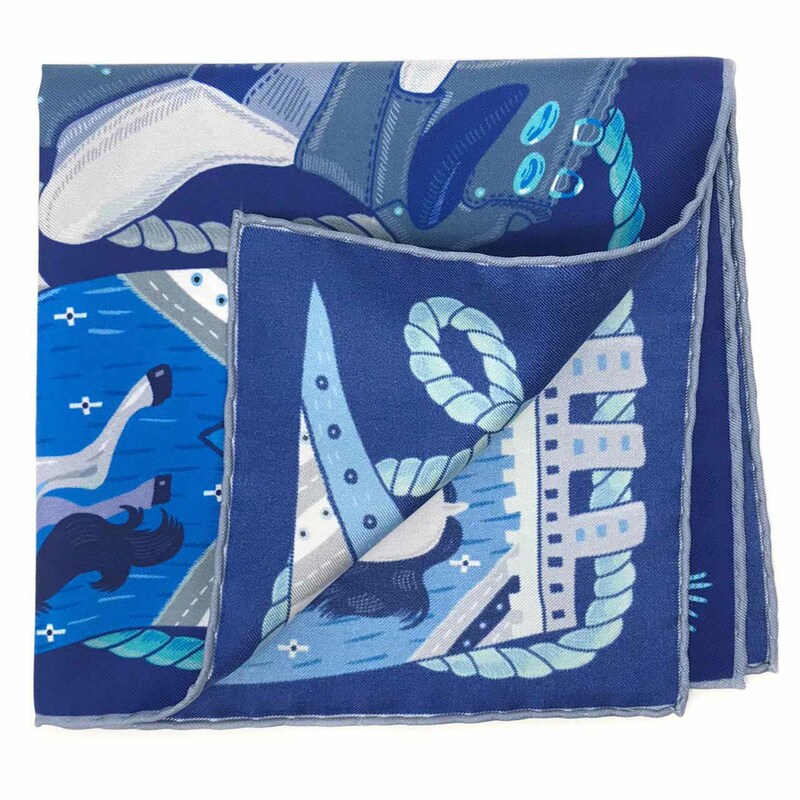 To wear a high quality pocket square is to allow your unique sense of style to shine through your outfit, and this silk pocket square makes a bold statement indeed – this is one for those who are unafraid of making an impact, for those modern-day knights on the town. 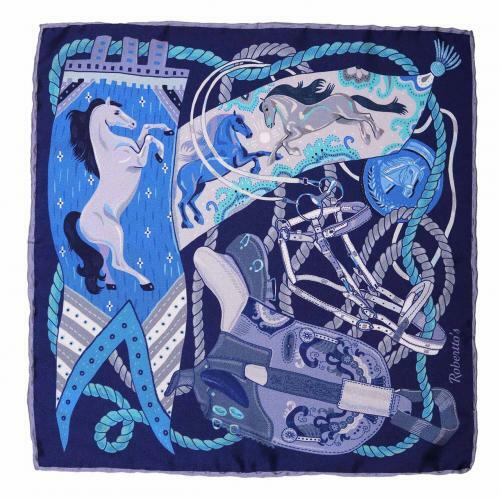 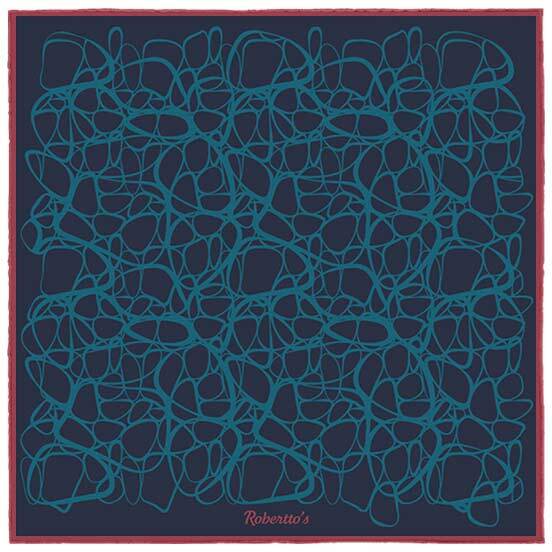 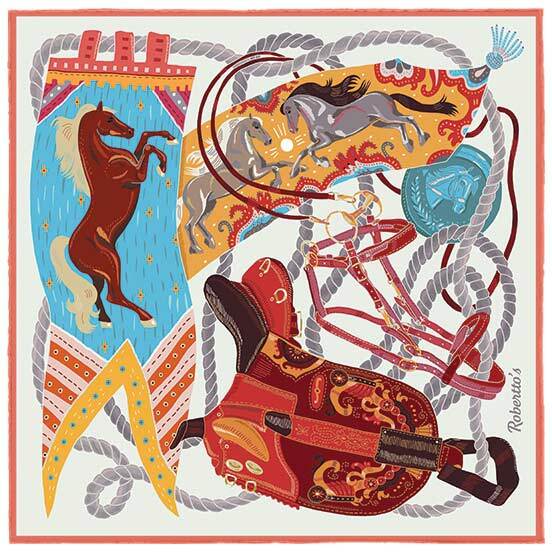 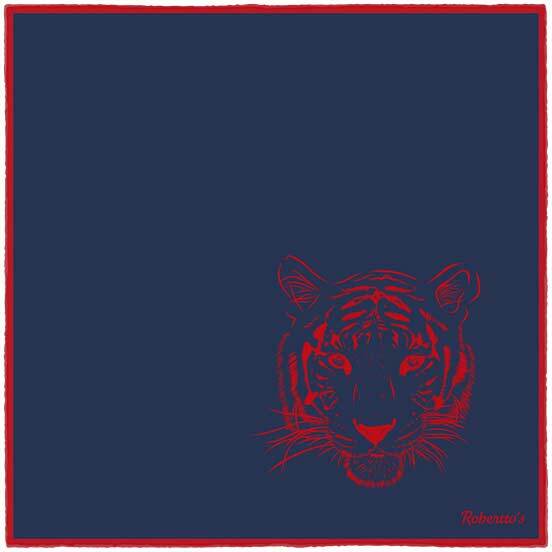 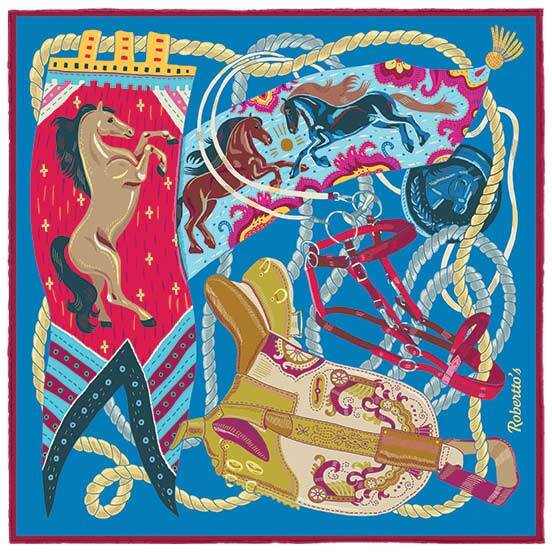 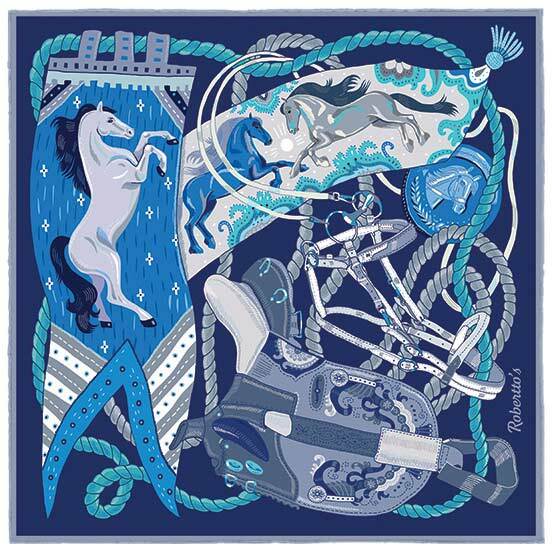 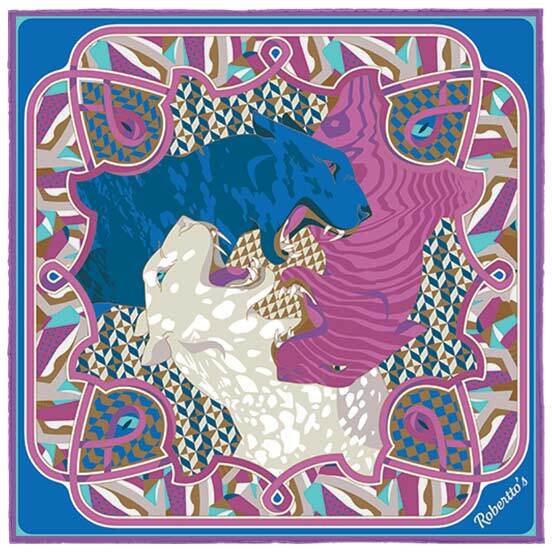 This high quality silk pocket square explores the various shades of the color blue, as it takes us on a journey through classical, aristocratic images of prancing stallions and heraldic imagery. 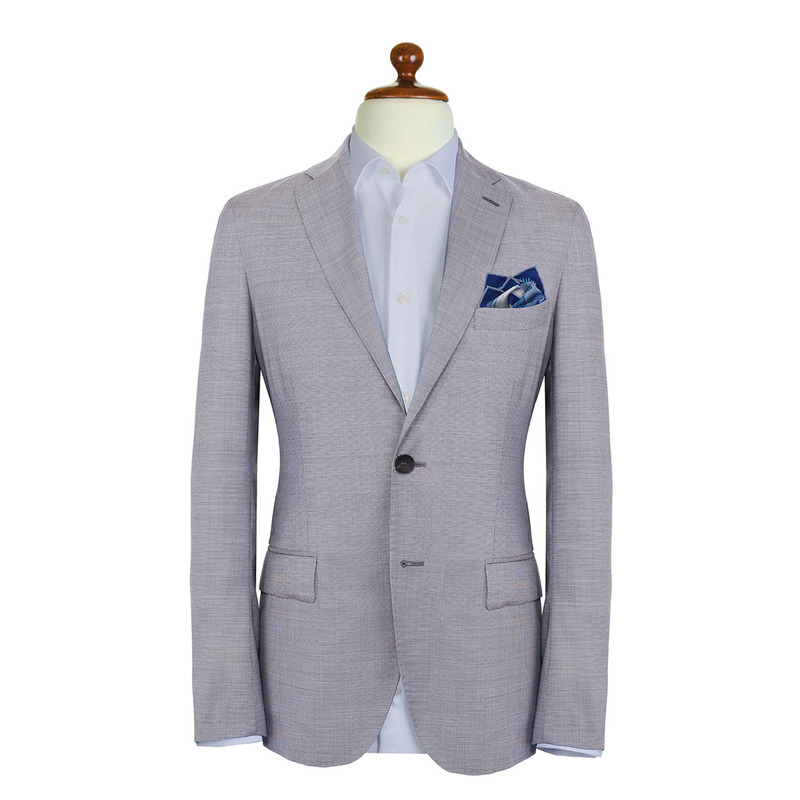 Featuring a spectrum of blue tones, from turquoise to navy to metal grey, it would look most elegant when worn with a sharp navy blue suit, a white shirt and a grey-blue tie.